Motor Vehicle Accidents are a common occurrence on Ontario roads and is something that we all have gotten accustomed to seeing. What we don�t see is that car accident victims can have a wide range of injuries resulting from these accidents. Broken bones, cuts, bruises and whiplash are some of the more common types of injuries sustained in a car accident. Lengthy medical rehabilitation, lost wages and other out of pocket expenses are just some of the unpredictable realities of being a car accident victim. These issues can affect you and your family not only emotionally but financially as well. Because not all injuries become apparent immediately following the accident, it is important to speak to personal injury specialist if you were involved in a motor vehicle collision. Car accident victims are entitled to accident benefits which are: income replacement, attendant care, medical rehabilitation, and non-earner benefits. If you have purchased additional coverage, you may qualify for care giving and housekeeping benefits as well. Injuries classified as catastrophic significantly increase the coverage available to accident victims. Keep in mind that although you may be entitled to these benefits, the auto insurance company will attempt to limit or outright deny your coverage. The person who is not at-fault for the accident, is entitled to Tort Compensation from the at-fault party which can include: Pain and Suffering, Loss of Competitive Advantage, Future Care Costs and others. Ontario has laws governing auto accidents claim procedures which are very complex and restrict compensation for victims of car accidents. The specialists of Makaronets Law are very well-versed in the current legislation and its subtleties which allow us to recover substantial amounts of compensation for our clients. Auto insurance companies will usually attempt to delay the claim process, withhold payments and generally make it extremely difficult to obtain compensation for car accident victims. Insurance adjusters and other representatives are paid to keep the payouts at a minimum and thus do not have the claimant�s interest in mind. Because of these practices, the victims are left unsure how to proceed and often without sufficient access to medical rehabilitation and benefits. It is not uncommon for an insurance company representative to try and trick the claimant into accepting a substantially smaller settlement amount than they are truly entitled to. These are just some of the reasons that make having an experienced personal injury specialist crucial to obtaining a just settlement for your injuries. If you have been injured in a motor vehicle accident, you deserve to be compensated for your injuries. 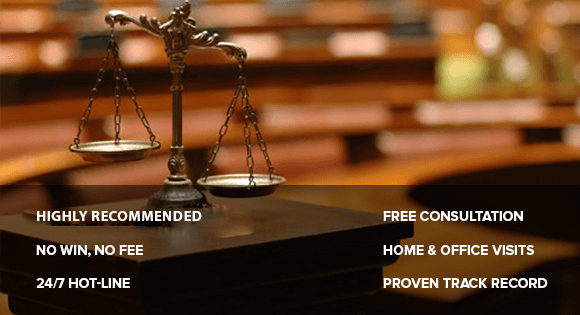 Contact the professional legal team at Makaronets Law and protect your rights. We will ensure that you are treated fairly and receive all of the benefits and compensation that you are entitled to. 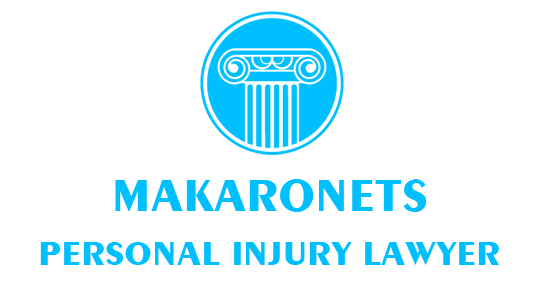 Don�t suffer in silence, call Makaronets Law and put the top team of personal injury specialists in your corner.